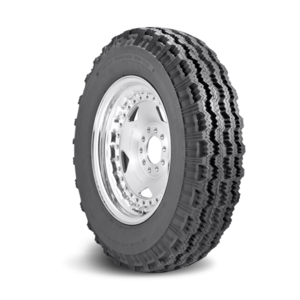 Mickey Thompson was a pioneer and a product innovator. 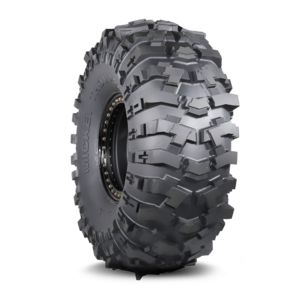 He created the first 35” tall truck tires for off-road use. 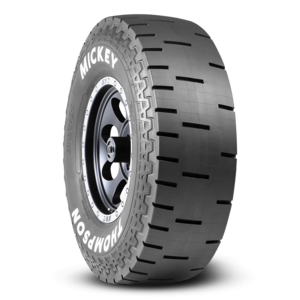 Not satisfied, looking for more traction and a competitive advantage, Mickey created “tread-on-the-sidewall” for additional traction and pulling power in extreme off road conditions. Today, all Mickey Thompson truck tires, from street to off-road, are engineered and built to UNCOMPROMISED standards, delivering UNDISPUTED performance. BUILT TO PERFORM IN NATURES HARSHEST CONDITIONS! Mickey Thompson has teamed up with the expert builders at X-Treme Toys to create a mind-blowing custom 2017 Ford Super Duty®. 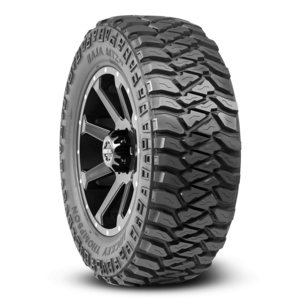 Heralded by Ford as the “toughest Ford Super Duty ever”, Project Tall Boy will showcase Mickey Thompson’s new 40-inch Baja MTZP3 tires and 20-inch Sidebiter™ wheels. Designed with off-road adventure in mind, Project Tall Boy is the ultimate truck for high-powered action. Torque rules. No other gas-powered full-size pickup can match the 430 lb.-ft. of torque of the Super Duty®. Motocross legend, off-road racer, team owner, and businessman “The General” Brian Deegan is a pioneer in action sports. At age 17, outfitted with only a credit card, a dirt bike, and an old truck, Brian left his hometown of Omaha, Nebraska for Southern California with dreams of becoming the next big name in motocross. Brian’s skills quickly impressed everyone he encountered, and he soon rode his way onto a Supercross Team. In a pivotal moment in 1997 at the Coliseum in LA, Brian made history and pioneered what is known today as Freestyle Motocross by ‘ghost riding”his bike across the finish line - astonishing the crowd, stunning the AMA officials, and setting into motion a new breed of competition. Today, Brian is the most decorated Freestyle Motocross rider in the competitions history with 16 X-Games medals to his name, including X Games Gold Medal in Rally Cross. Brian currently races in the off-road in the Lucas Oil Racing winning both Lucas Oil Pro 2 Unlimited and the Pro Lite Unlimited Championships. Being named Lucas Oil Rookie of the Year in Pro 2 Unlimited, and taking home the 2011 Lucas Oil Driver of the Year. Brian is sponsored by Mickey Thompson Tires and has a line of off-road tires and wheels with his name on them, the Deegan 38, an aggressive mud radial and the Deegan 38 All-Terrain. 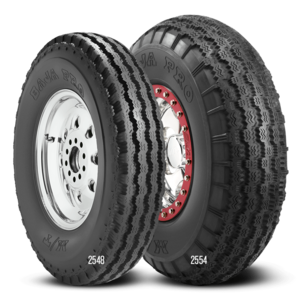 Both tires are engineered with light weight 2 ply High-Tensile sidewalls and Silica Compounds for excellent grip in all conditions. 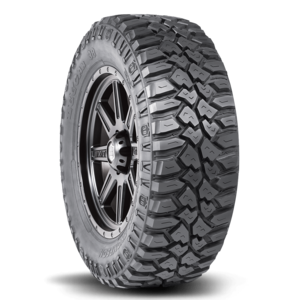 Brian’s fearless attitude and racing skills make him a ferocious competitor and advisor for the Mickey Thompson Tire Team of engineers that continue the develop On and Off-road truck tires with Uncompromised Construction and Undisputed Performance. For more information see briandeegan.com. Hailie Deegan was born on 17th July 2001 in Temecula, California. Hailie is the daughter of the freestyle and X Games legend Brian Deegan.She is a motocross freak! Being the daughter of Brian Deegan, it might not come as a surprise. Hailie started racing at the age of eight, since then she has made a career in racing. Deegan has been named the Dirt Princess for her achievements inthe racing industry. She was the first girl to ever earn a podium finish in the Lucas Oil Off-road Series. Deegan chooses freestyle as her forte. She is currently involved in Legends, Pro Lites, and Late Model races. In 2016, she was in NASCAR's Drive for Diversity program. She is the youngest and the only female member to be named to NASCAR Next Class in 2017. In August 2017, she was featured in UnderArmour's She Plays We Win campaign. Her prowess in the track has made her a role model for many up and coming young, especially female racers. 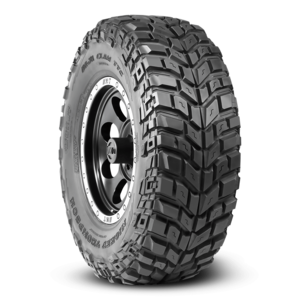 Hailie, like her famous father Brian race on Mickey Thompson Baja Pro Radials that are especially designed and engineered for shortcourse off-road racing only. 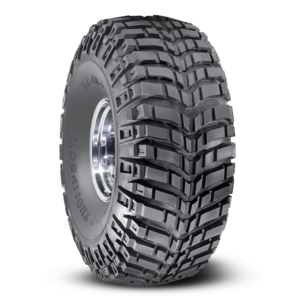 The M/T Baja Pro tires can be custom hand grooved to provide Winning Traction and Podium Performance for both Hailie and Brian. Eric Barron drives a fire breathing V8 Toyota TRD truck in the Pro 4 Unlimited Series. Eric is no stranger to racing, most of his life, living in North County San Diego, he drove or rode anything he could get his hands on, from Go-Karts to BMX bicycles. Often driving “hand-me-downs” from his older brother Alex Barron, he soon gained his own reputation for “fast”. Eric dabbled in Pro Buggies Pro Lives and eventually Pro 2’s. After earning a seat in a Pro 4 off-road truck he finished a respectable 6th place in his very first race. It was then that he decided to build a truck of his own. Assembling a Team, they built their first Pro 4, 100% with their own hands. When racing the Toyota truck you may think that its a factory effort, its more then that, the Tundra bodies are one-off hand made bodies made by Eric himself. 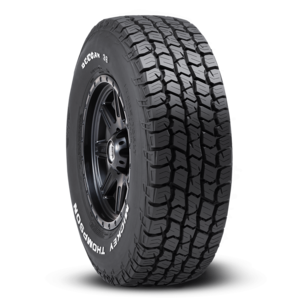 Mickey Thompson is a key sponsor with Eric in the Lucas Oil Off Reading Pro 4 Truck Series. Eric Barron is a great fit because, like the legendary Mickey Thompson, Eric gets his hands into ALL aspects of racing, designing, building, and driving. Eric Barron is full of life and always entertaining on and off the podium. Eric races with heart and foot, just like Mickey did. Watch #32, Eric charge the field on his way to the front of the pack on his Mickey Thompson Baja Pro Race Radials. Darren “Hot Sauce” Hardesty Jr. is a third generation racer who is making his own mark in racing. In 2015, HotSauce earned the Rookie of the Year title and the points championship in the Lucas Oil Off Road Racing Regional Series. He gave the pro level series a try and did extremely well; so well that he also ran the Pro series for the rest of the season. He became the youngest driver to win a race in the Pro series and went on the take the Rookie of the Year title; earning his second Rookie of the Year title during the same season. In 2016, he has continued to accrue wins and podiums at the professional level. Darren’s strong performance in 2016 attracted a huge fan following and a rising star nomination from the Off Road Motorsports Hall Of Fame. In 2017 Darren won the Pro Buggy Championship. 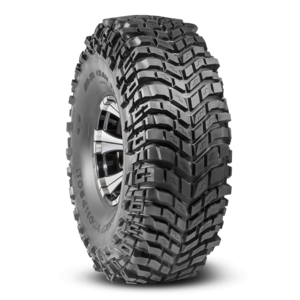 Nothing makes Darren hotter then his Mickey Thompson Off-road tires. All of Darren's drive and determination requires massive amounts of traction and grip for his Pro Buggy. 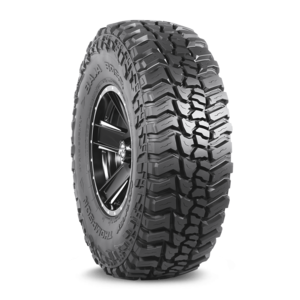 Mickey Thompson started his off-road racing career in buggies and the same tire innovations and uncompromised construction that Mickey engineered into his tires are found in Darren's tires. Anytime he is in the driver’s seat, it’s guaranteed he will spice things up as his nickname “Hot Sauce” suggests.